Exactly 25 years ago tomorrow, on 17 August 1982, Philips manufactured the world's first compact disc at a factory outside Hanover, Germany. CDs, with their superior sound quality and scratch free durability, marked the beginning of the shift from analogue to digital music technology. Since then, over 200 billion CDs have been sold worldwide over the past 25 years. Even though a single CD is only 1.2 mm thick, if all the CDs ever produced were stacked up, the pile would encircle the earth six times. 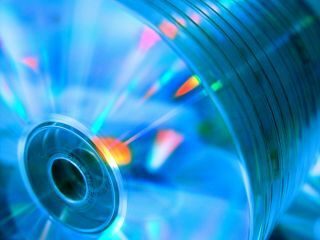 The CD became a catalyst for further innovation in digital entertainment, helping pave the way for the launch of DVD and the current introduction of Blu-ray optical media. Piet Kramer, who at the time was a member of the optical group at Philips, commented on Philips' and Sony's collaborative work: "When Philips teamed up with Sony to develop the CD, our first target was to win over the world for the CD. We did this by collaborating openly to agree on a new standard. "For Philips, this open innovation was a new approach - and it paid off. In the late 70s and early 80s, we never imagined that one day the computing and entertainment industries would also opt for the digital CD for storing the growing volume of data for computer programs and movies."